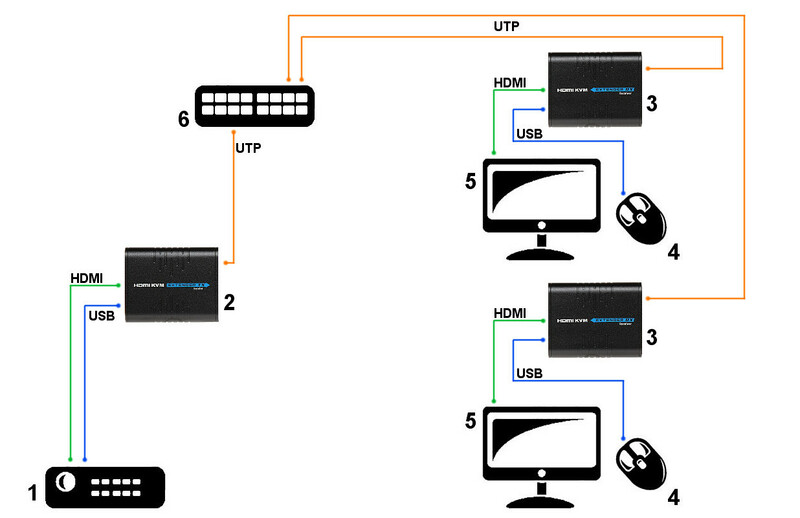 Device allows to send High Definition signal to the TV-Set receiver equipped with HDMI connector via UTP Cat. 5e, 6 cable. 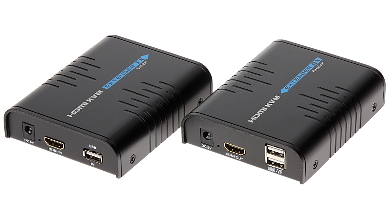 Extender also allows to extend an USB 2.0 port, eg. in order to control the recorder using the mouse. To TV set you need connect only one UTP cable, what makes installation easy and improve aesthetic quality of installation. Low transmission speed of the transmitter (about 20 Mb/s) causes a visible loss of image quality. Visible delay of the mouse operation.